Maldives Police Service has arrested Ahmed Areef, the former Commissioner of Police. Areef was arrested from his apartment on the fifth floor of M. Snow Rose in Male' City, this Tuesday morning. Areef’s attorney, Ibrahim Shameel reported to “Sun” Areef was arrested on charges of complicity in an attempt to illegally overthrow the current Maldivian administration. Areef was dismissed from the police force in the events following the unprecedented Supreme Court order on February 1, which called for immediate release of nine political leaders and immediate reinstatement of 12 lawmakers disqualified from their seats for floor crossing. The Attorney General Mohamed Anil stated during a press conference that Areef was dismissed after he failed to answer his phone despite numerous attempts by President Abdulla Yameen Abdul Gayoom to reach him. 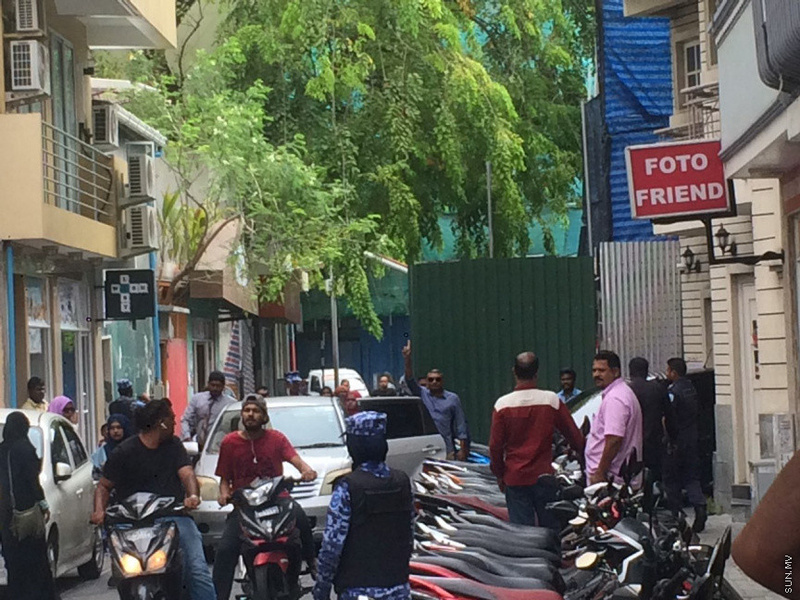 The police are currently conducting a raid on the residence of Dhiggaru MP Ahmed Faris Maumoon's spouse, who lives in the same apartment building (M. Snow Rose).